The Schrade Extreme Survival SCHF10 fixed blade knife does its name justice by being a fixed blade knife that can get you out of less than favorable situations. 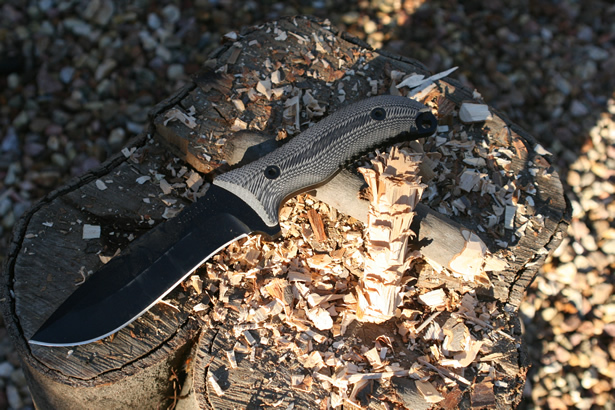 The SCHF10 is well-suited for hunting or any other outdoor adventure or survival with a black 8Cr13MoV high carbon stainless steel drop point blade with jimping. The Schrade Fixed Blade Survival Knife lets you get a firm, solid grip, giving you all the comfort you need and not sacrificing your comfort. Ergonomic multi-directional textured Micarta overlay handle slabs with spine and grip jimping ensure just that. The handle also has a hole for a lanyard, paracord, or string. When you’re not using your Schrade Full Tang Survival Knife keep it safe in the ballistic nylon belt sheath, which has a small storage pocket for storing small survival items. In my relentless hunt to find the perfect survival knife that can handle everything from bushwhacking to fine bushcraft techniques, I decided to give Schrade’s Drop-Point Full Tang Fixed Blade Knife a shot as a low-cost alternative. I was rather impressed with Schrade’s SCHF9 quality and durability for its small price tag so I thought I’d give its little brother a try. The SCHF10 has an overall length of just over 10-1/2 inches and weighs right around 14.6 ounces. It has a stout 8Cr13MoV High Carbon Stainless Steel full-tang blade that is nearly a quarter-inch thick. Like the SCHF9 that I previously reviewed, the SCHF10 felt solid and well-balanced in my hand, and it looks like it would likely stand up to a rigorous beating as well. The stainless steel blade came very sharp out of the box and protective coating with an attractive black finish. Although, I did notice the blade’s edge to be slightly off-angle. Not nearly as much as the SCHF9 I had previously reviewed, but it was certainly off nonetheless. However, at only $40 I really wouldn’t expect to find a fine tolerance beyond what Schrade has provided on this one. Additionally, there is plenty of machined jumping strategically located around the blade providing a wide-variety of gripping options. The attractive Micarta handle embodies a durable textured finish which provides a firm non-slip grip to the knife, even when wet. Although, the Micarta handle did feel a bit too rough in my bare hands so gloves would likely be necessary for regular use. As a result, I do prefer the Textured TPE Handle of the SCHF9. I also appreciated the smaller palm-swell on this model. I wear a large glove size so it was fairly comfortable to wield and fit my hands perfectly. The palm-swell of the SCHF9 was much larger so it was not nearly as comfortable with smaller hands like mine. Initially, I would have to say that I am very impressed with this blade. Schrade’s SCHF10 is a medium-sized fine-edged knife with an overall length of 10.6″, a blade length of 5.3″ and a total weight of 14.6 ounces. The SCHF10 is made from a single piece of 8Cr13MoV High Carbon Stainless Steel running throughout. 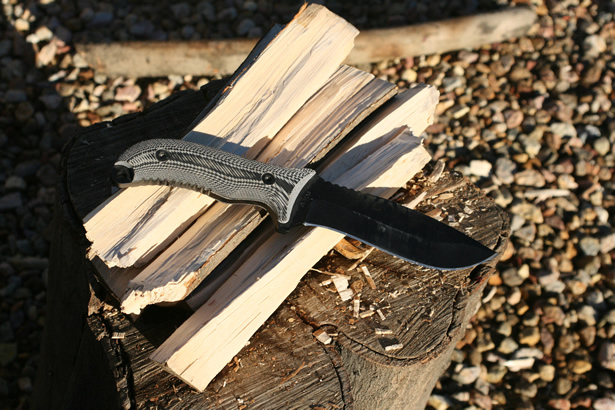 The full-tang design provides the superior strength and rigidity that you would expect from any good survival knife. While the 8Cr13MoV High Carbon Stainless Steel and full-tang blade design are durable enough to withstand a moderate punishment, it is also important to note that it is susceptible to rust under extremely wet conditions without proper care and maintenance. Even with the protective Teflon coating. It is best to clean and lightly oil the blade when you put it away to keep it from rusting. If you do, it just might last you a lifetime. The SCHF10 has an attractive drop-point edge with a moderate recurve and narrow-pointed tip. A drop-point profile is best explained as a blade with a convex curve from the spine to the tip of the blade which provides a strong, robust tip that is easy to direct when chopping, cutting and prying, but is often less suitable for piercing. However, in the case of the SCHF10, the spine is also slightly tapered swedge providing a narrower point angle which is good for piercing. The SCHF10 is ground with a deep high-flat grind and a slight compound bevel without any serrations. This is a very common grind on factory knives today. The shape of this blade provides a bit more leverage perfect for heavy bushwhacking tasks like chopping and lighter bushcraft techniques like carving and shaving sticks. Unfortunately, it can be somewhat challenging to sharpen with a stone due to the inward curve (or recurve) at the base of the drop-point. Jimping is a term used when describing the small notches cut into the back of a blade or put on the choil or other areas of a knife to prevent your fingers from sliding when using the knife. The SCHF10 has seven notches located on the top of the handle, ten notches located at the bottom of the handle and another six notches located on the spine-side of the blade just beyond the thumb-rise which provide a wide variety of gripping options. The SCHF10’s Micarta handle is an extremely durable material with an aggressive coarse pattern providing an excellent non-slip grip even in wet conditions making it a great choice for a knife handle. However, the pattern is so course, some may find it much more comfortable to use with gloves. 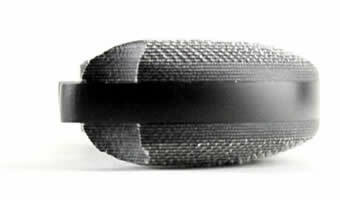 Micarta is a resin impregnated fibre compound produced with a wide variety of resins and fibers cured under high pressure and high temperature. 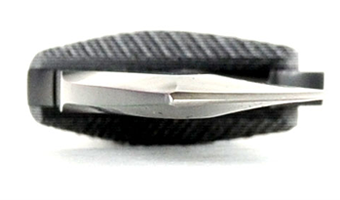 The two halves of the Micarta handle are attached through the full-tang blade with two recessed allen bolts threaded directly into the knife steel allowing it to absorb much of the shock when chopping or batoning, thereby reducing fatigue. The handle is shaped with two finger cut-outs, tapered ends and a moderate palm-swell making it easy to hold on to with or without gloves, especially with smaller hands. Those with very large hands may opt for the SCHF9 instead. The end of the SCHF10’s handle also has a lanyard hole at its base sized perfectly for a paracord strap and can be used for light hammering in a pinch. 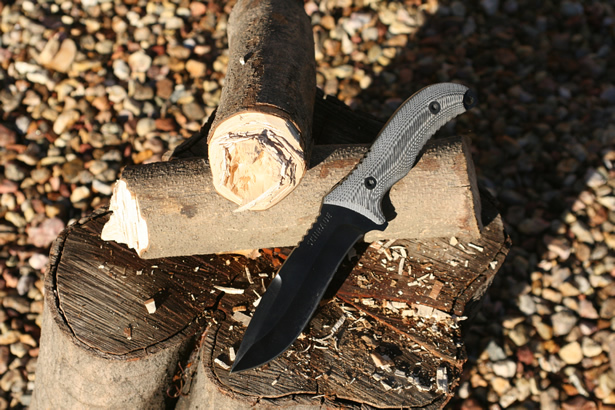 The SCHF10 comes with a lightweight sheath made from a heavy ballistic Nylon material. It is flexible and appears to only be single-stitched so it is really only for light-duty use. The SCHF10 fits snugly into the Kydex lined pocket and is held firmly in place with an adjustable Velcro retention strap. The Kydex lining is removable, held snugly in place within the pocket of the sheath. The sheath is really shaped for right-hand carry. However it can easily be reconfigured to carry on the left. While this sheath is not as bad as some, it is not nearly as nice as the one that Schrade provides with the SCHF9 and they go up from there. Now lets see what the SCHF10 can do… I will be performing the same three tests for a somewhat accurate comparison between blades. 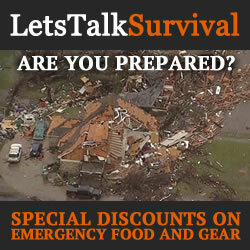 In a survival situation, all resources are fair game. However, since I am not in a life-or-death situation, I’ll stick to some dead wood that I have lying around for these tests. To test the SCHF10’s ability to be used with a baton, I found a stick around 2″ in diameter by about 18″ long for my baton and a few logs around 3″ in diameter also about 18″ long to hack into kindling. For this test, I chose to use a smaller-sized log than I had used when I tested the SCHF9 since the blade length is a little more than an inch shorter. I placed the first log on its end and began to whack both sides of the SCHF10 evenly with the baton. It went through the entire log with ease. Very little effort was necessary to split the log from end-to-end. However, since the tip-end of the SCHF10’s spine is tapered, the baton does not have much of a surface to to strike against. As a result, the spine would tend dig into the baton more than it would have had the spine not been tapered. I repeated the test a few more times by splitting the log into smaller and smaller pieces, and then again a few more times with similarly-sized logs. Some fresh logs and others that have been drying out for a couple of seasons. The SCHF10 and baton performed just as good as I thought it would. Even with all of the knots I ran into. I have to say, I was very impressed. Next, I decided try my hand at chopping some long branches into a manageable size which would be necessary for building a shelter or creating a stockpile of firewood to get through the night. At a few ounces shy of one pound, the SCHF10’s weight provides a moderate amount of force when striking. By gripping the SCHF10 at the flared end of the handle with your thumb and forefinger, you can extend the radius of your swing providing even more force when chopping. If you do need to swing the blade for any length of time, I thoroughly recommend wearing gloves to protect your hands and absorb some of the shock. The SCHF10 did make quick work of smaller branches 1-2″ in size. However, I did struggle with the larger 3″-plus material. SCHF10’s smaller profile and lighter weight greatly affected its ability to chop. The SCHF9 performed much better at this task. Although it could certainly be used in a pinch, a hatchet or small axe are much better suited. Finally, I thought making a feather stick would be in order. As I continued my way around the stick, I tried to be careful not to shave the curls too long or dig too deep causing them to break off. However, I was using a hard wood so it was not as easy as it could have been with a softer material. After a few minutes of working my way up the stick, it was ready to finish off. About 6″ up, I began to work my way around deeper and deeper into the stick until I was almost all the way through. Then I snapped the feathered section off leaving what can only described as a 6″ tall pinecone. I had a perfectly feathered stick to start a fire. All in all, The SCHF10 performed flawlessly at this task. Even better than the SCHF9. Its shorter stature and lighter weight made it much easier to control and maneuver than the SCHF9. 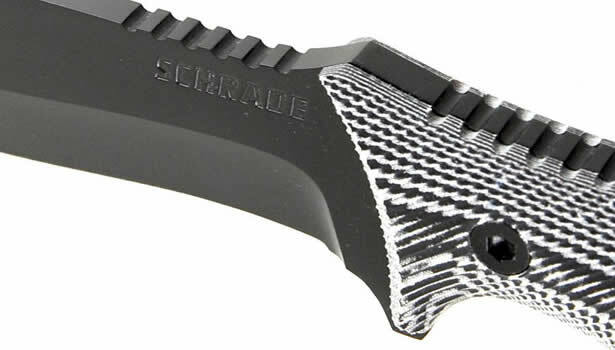 Schrade’s SCHF10 is a rugged survival knife designed to get the job done at an excellent price-point. While there are certainly quite a few higher-priced alternatives out there, it is the SCHF10’s durability, medium-size and weight that make it an ideal knife for most survival situations. The SCHF10 can be found most anywhere for right around $40. 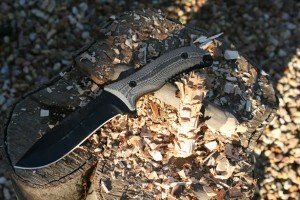 So the bottom-line… Schrade’s SCHF10 is an impressive survival knife that is built to last at a terrific price. 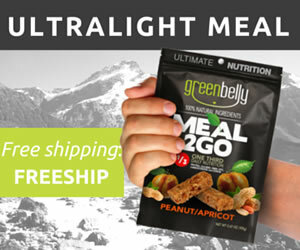 At only $40, it might be nice to have a few of these stashed around the house and in my survival packs.